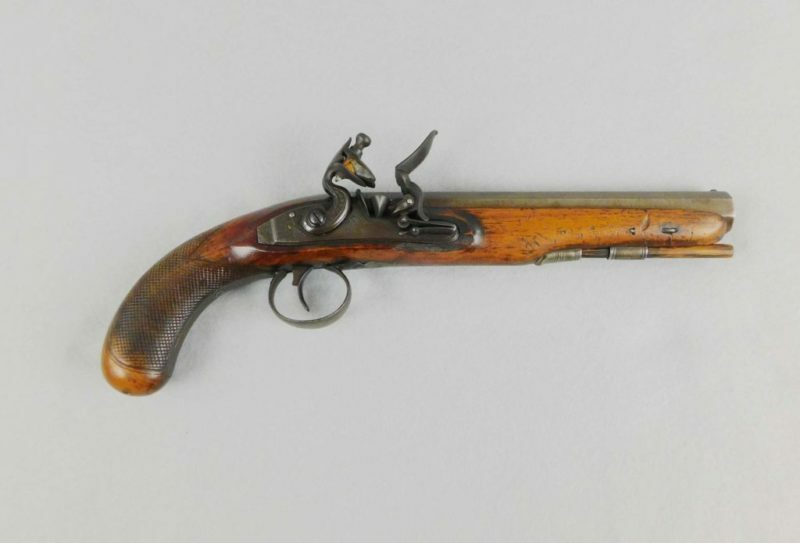 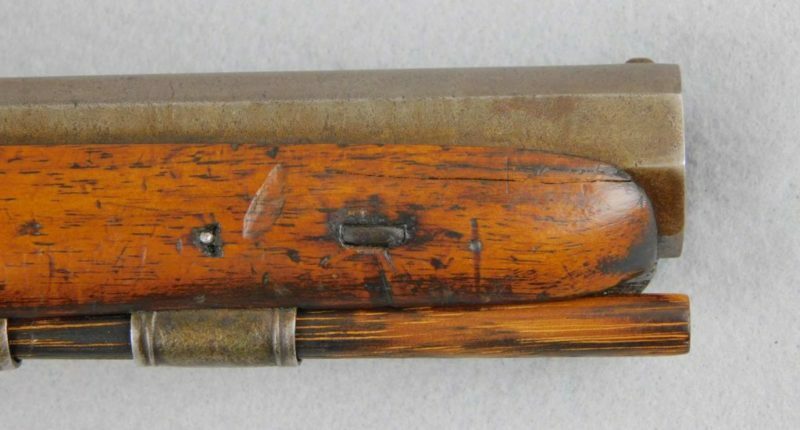 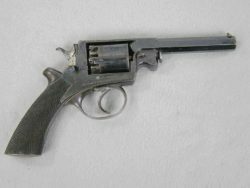 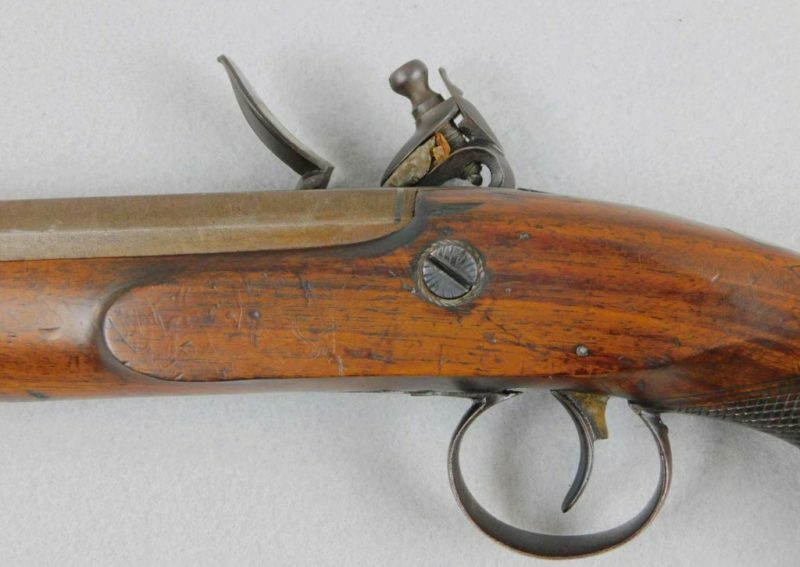 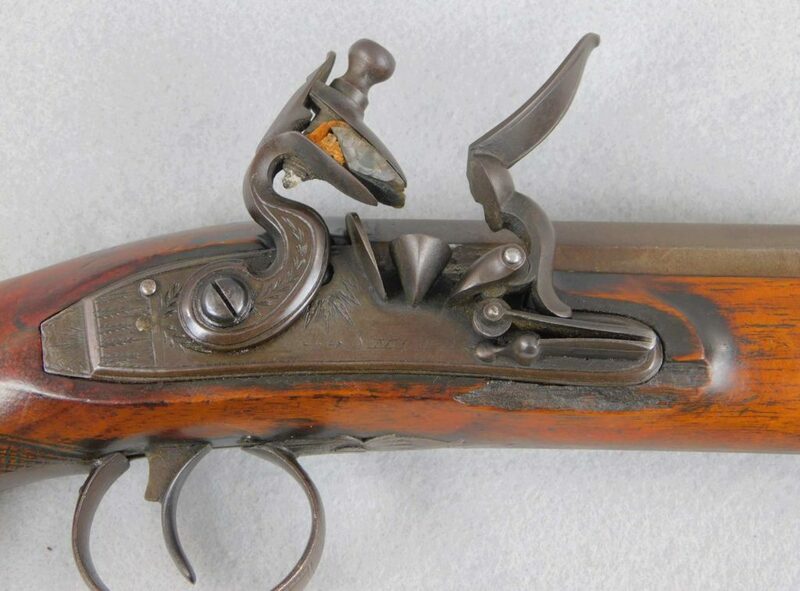 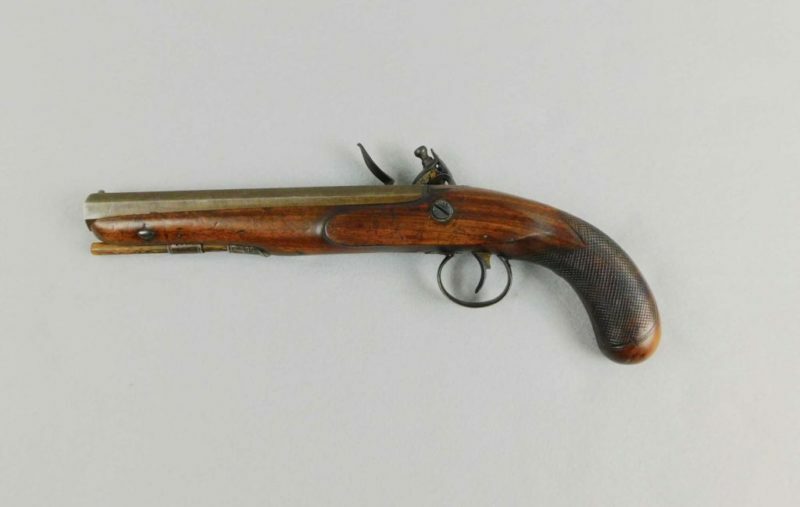 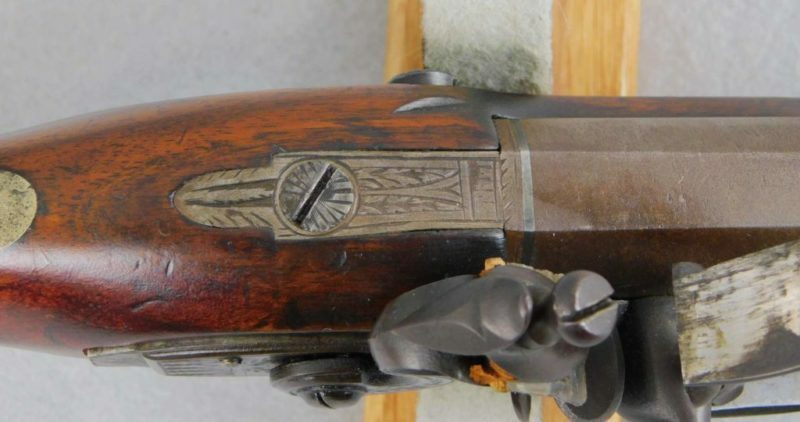 This is a London marked 62 caliber Smith coat pistol with an 8” octagon smooth bore barrel and was made 1780s-1790s. 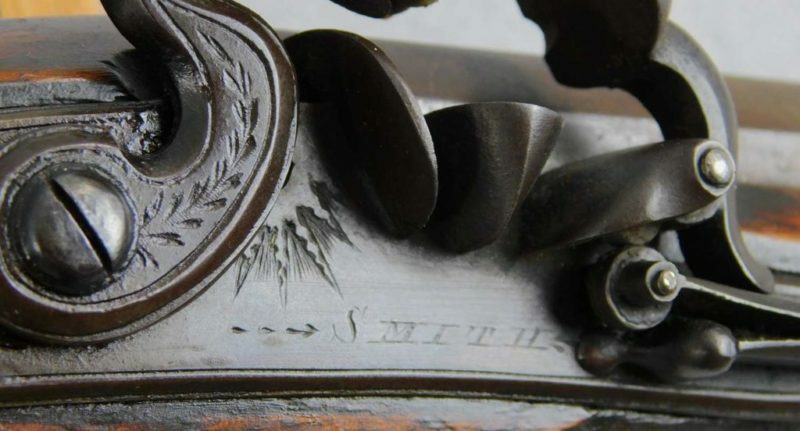 It has an engraved tang with a platinum inlay at the breach. 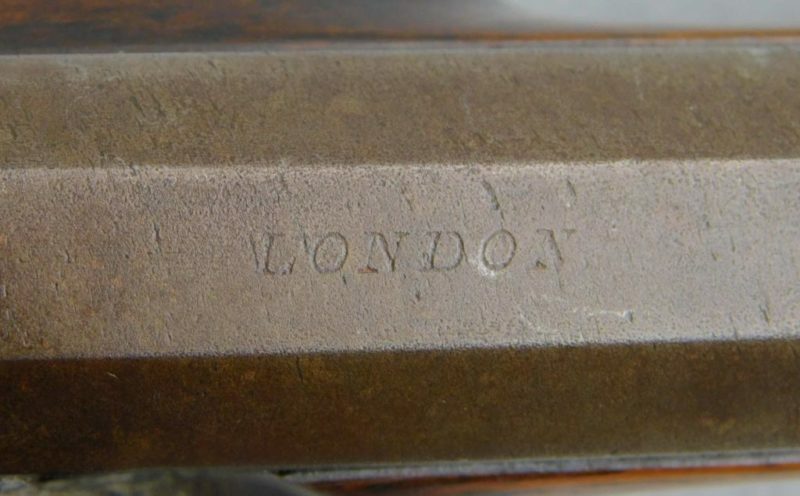 The hammer, lock trigger guard and final are all engraved. 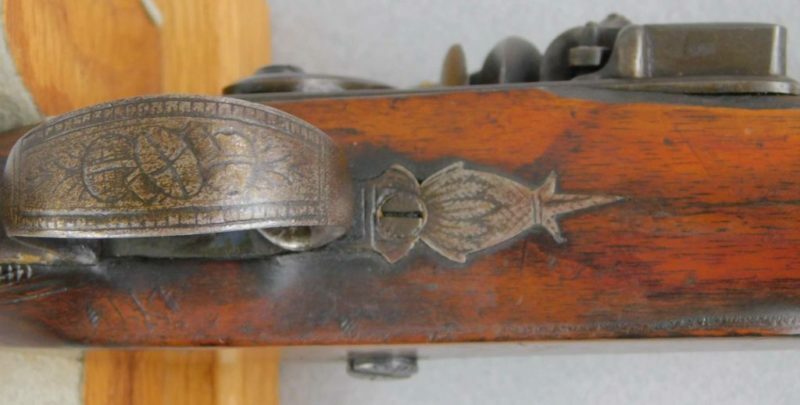 The wood grip and checkered and there is a small chip missing in front of the lock below the frizzon spring. 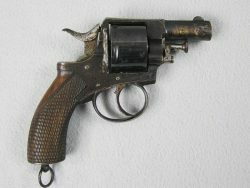 The mechanical function is very good crisp and tight.